Recently I came across an extremely useful blog resource written by self-published author and lead radiology technologist Jeremy Enfinger. His blog is Topics in Radiography and his book Becoming a Radiologic Technologist can be found here. Today we have the privilege of a guest post by Jeremy regarding a crucial topic – the relationship between radiologists and radiology technologists. As a current radiology resident I have come to realize the importance of this relationship. I firmly believe good communication with technologists leads to high quality images and ultimately high quality patient care. I only wish I had the experience that Jeremy did back before the digitization of radiology. Read below and comment with your insights. Sometimes being an extremely picky radiologist can get you into a dangerous situation with your technologist. 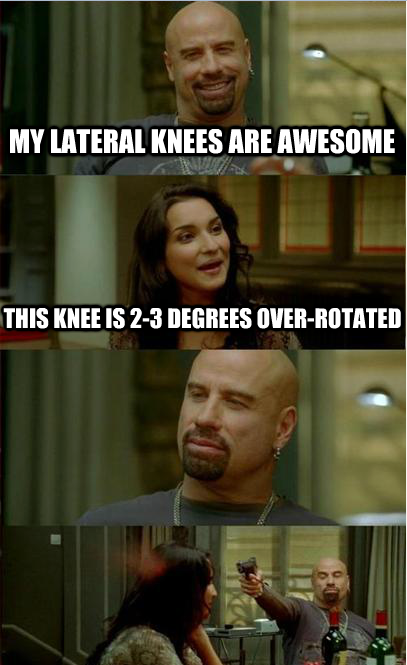 A lot has changed since I was in x-ray school 15 years ago. We used film/screen imaging and performed daily chemical processor QC. I remember typing patient demographics on an index card with a typewriter to flash our films with, and filing them away in a catalogue box to be used for the patient’s future exams. I can also recall being assigned to the “IVP room” all day, and having the processor jam when I was performing my post-contrast injection images. Even though 15 years seems like a relatively short amount of time compared to some of my colleagues, the working relationship has changed dramatically between the radiologist and the radiologic technologist. The days of personally handing our films to the radiologist and hanging them up for diagnosis and/or image critique are long gone. This had an extremely positive impact on my career, although it did not feel like it at the time. If I performed a less-than-par exam, I got an ear full straight from the mouth of the radiologist. While sometimes difficult to accept such open criticism, it was such a valuable learning tool. I not only used to face this criticism in front of other techs who were standing in line to present their images, but I got a specific explanation about why the images were sub-par, and most of the time received specific instructions about how to acquire the images they need. Everyone standing had the opportunity to learn from my mistakes. The doctors took the time to go over images with us and discuss how each could be improved next time. Every once in a while, the technologist might even receive a pat on the back for doing a good job. With the technological advancements in medical imaging growing exponentially every year, there seems to be a void in the area that used to be filled with interpersonal working relationships with our physicians. As a lead technologist, I frequent the reading room more often than my staff techs, but the staff technologists rarely have a need to walk to the reading room. Most find it intimidating. 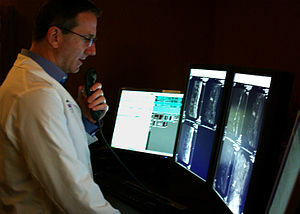 PACS, computed radiography and digital radiography have allowed a “digital” relationship to develop. I sometimes receive emails telling me that some of the work my staff turns in is sub-par without much of an explanation, and the only real personal interaction often occurs in a fluoroscopic procedure room. And maybe I’m reading into things too much, but there seems to be less tolerance of the learning curve of the radiography students and new grad technologists, but higher expectations of performance levels. I think it takes extra effort for newer physicians and techs to develop that working relationship since the work flow no longer requires it, and it has never been a part of their the daily routine. 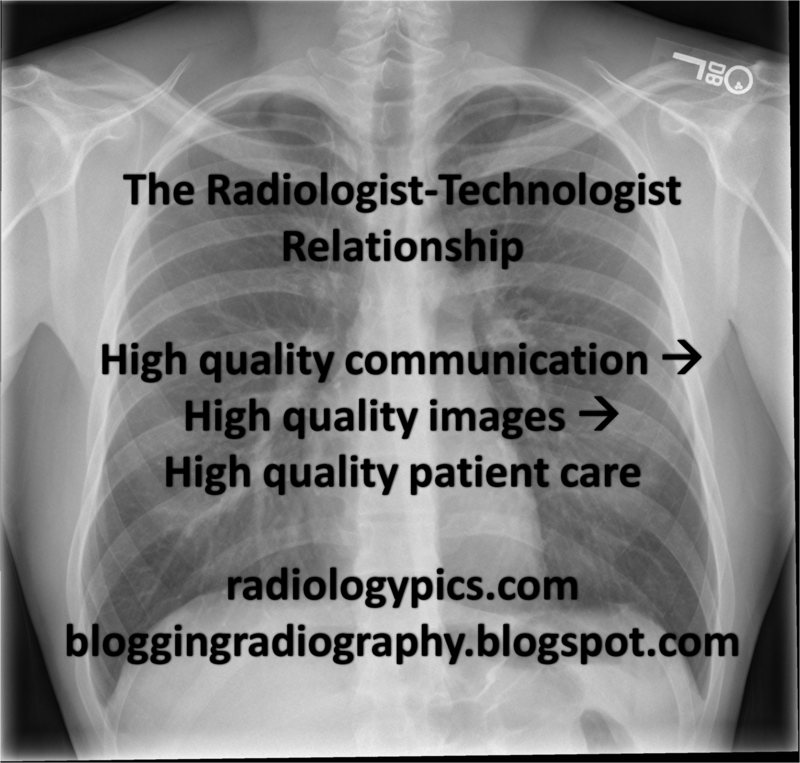 As a technologist who has experienced good working relationships with radiologists, I try to encourage techs and students to speak in person with the radiologists. Even though setting yourself up to get your images picked apart can be intimidating, it’s how we learn to improve, as well as increase our knowledge of their expectations. It’s how the radiologists learn what areas each technologist and student may need some help with in order to steer us in the right direction. Though we have the latest technology at our fingertips that allows for communication without leaving our work areas, there’s something to be said about camaraderie that is built and efficiency of interpersonal communication. With health care reform, we are being asked to do a lot more with fewer resources. For techs and radiologists, there’s a push for “more exams with fewer staff”. I know we all feel busier, but I can’t think of anyone who has ever been frowned upon for doing a thorough job. It ultimately ends up better for our patients, long-term image quality for the radiologists, and an improved proficiency in the technologists’ skill set. Since I represent only one side of this equation, I would love to hear other perspectives and/or differing opinions. Please feel free to comment.